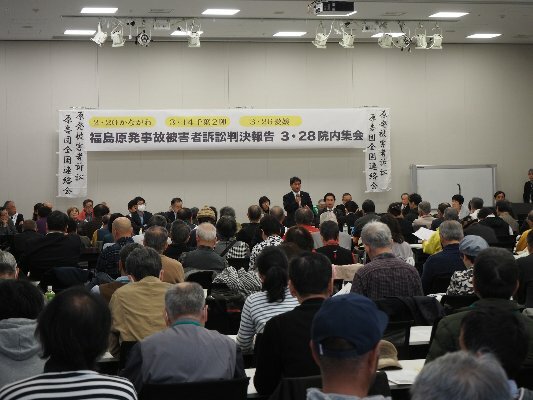 On three lawsuits over the Fukushima Daiichi nuclear meltdown accident, a debrief session took place in the Diet building after rulings issued by Yokohama, Chiba, and Matsuyama district courts. The courts, except for the Chiba court, ruled that the central government is responsible for the accident as it could foresee quake-induced tsunami damage. Evacuees demand a sincere apology from N-plant operator TEPCO and adequate compensation to all victims.